Gotham Academy is the most exciting Batman book on the shelves. I'll say it again, Gotham Academy is the most...well you get it. Part Harry Potter, part Lovecraftian adventure, drenched in Batman, Becky Cloonan and Brendan Fletcher's conceptual dynamo has quickly become DC's must read title. The fact that it has the ability to reach across the aisle to a number of different reader demographics just adds to its allure. I can't wait to find out more about mystery protagonist and discover just what "detention Gotham Academy"-style means. 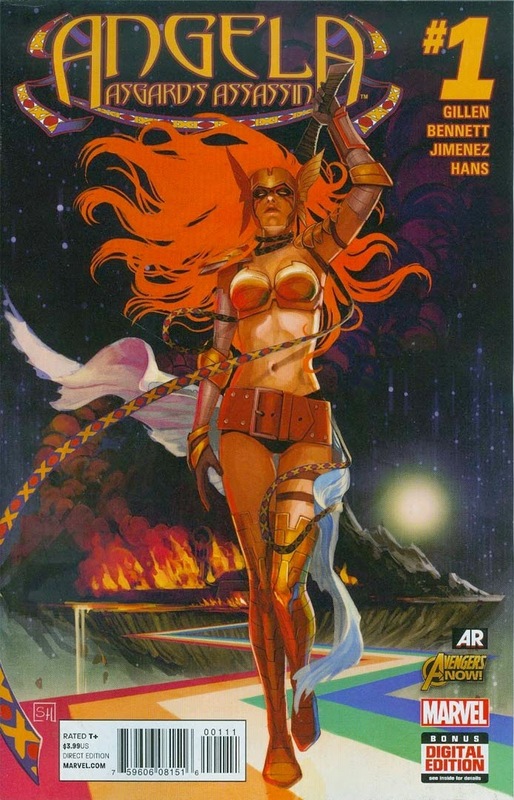 Angela has been something of a drip for Marvel. She was announced with much fanfare back when Marvel first got the rights to the character, but, as befitting a 1990s Spawn character who was more "breast delivery vehicle" than "character," she never really made much of a splash. Marvel decided to change tacks with the character earlier this year, moving her from a Guardians of the Galaxy supporting character to a Thor supporting character, and while I doubt anyone cared at the time, they're now moving to really flesh out who she is. The good news, and the only reason I'm recommending this one? Kieron Gillen is co-writing. Gillen has done great work with Asgard, most notably in his excellent Journey Into Mystery, and he's been on a roll lately with The Wicked + The Divine. If anyone can make this work, it's him. Despite a number of false starts in other titles and the utter creative quicksand that was the "Doomed" crossover, Action Comics remains the Superman title to read. Aaron Kuder's art being the main draw for my eyes, but Greg Pak's scripts relay an elegance that isn't normally seen in the "punchy-punchy" world of Superman and his friends. I sound like a broken record here, but there's a sense of optimism in how he portrays Clark and especially Lana that I find incredibly refreshing. I wish all Superman comics could be written this way. The current "Horrorville" story-line is off to a good if unspectacular start, but I attribute some of that to shaking off the doldrums of Doomed. Hopefully Part 2 will return the energy of Pak and Kuder's first arc. Gail Simone's long-running cult hit returns to the New 52! 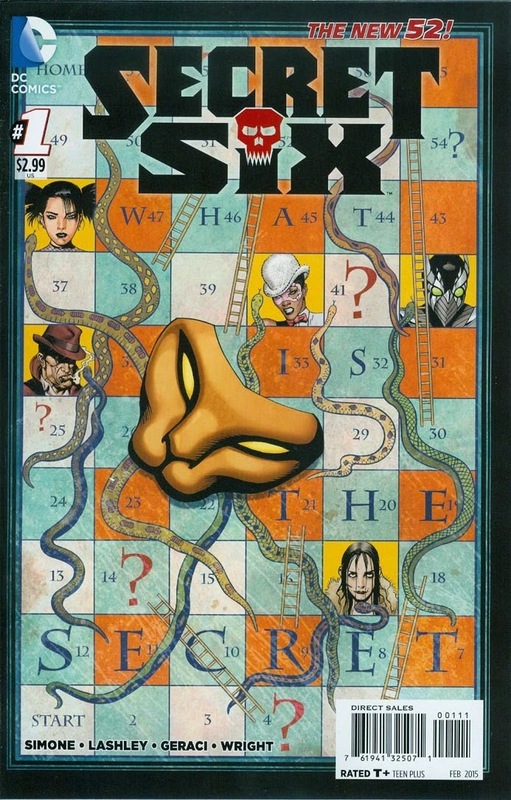 The Secret Six got their start as a lead-in to Infinite Crisis almost a decade ago. In it, Simone rehabilitated Catman, revitalized Deadshot, and brought the semi-moribund Suicide Squad concept back to life by turning it into a grimly-comical character-driven book. Over the course of two mini-series' and a 36-issue long ongoing series, Simone crafted the best book of her career. Can lightning strike a, uh, fourth time? You can bet we'll be there to find out. Morrison is one of the medium's most influential writers working today, and, like many who came from overseas, he got his break working with 2000AD. 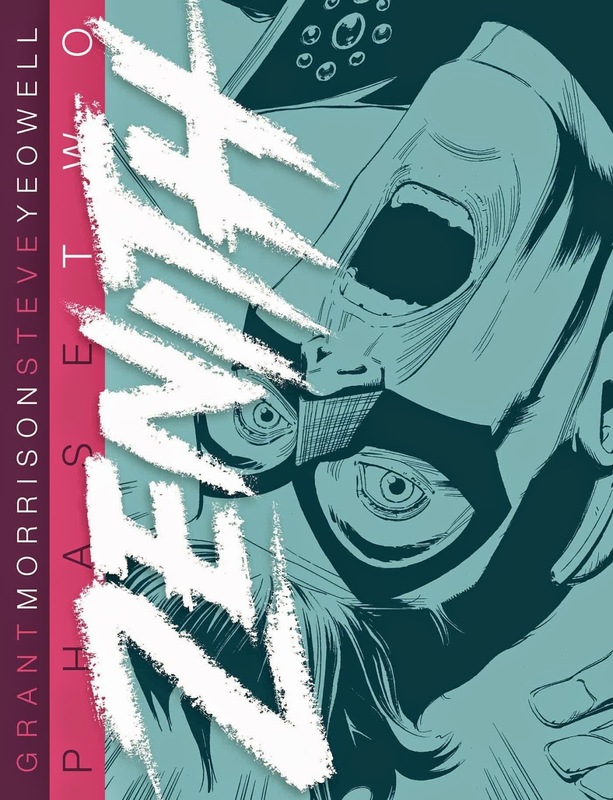 Zenith, which for many was Morrison's seminal early work and the comic that brought him to the attention of DC and got him a spot doing Animal Man and Arkham Asylum: A Serious House on Serious Earth, has long been out-of-print, one of those iconic British comics fans have been clamoring for for decades, and now it's back. 2000AD is repriting them in a series of three gorgeous oversized hardcover collections, with Phase 1 released last month and Phase 3 coming soon. Anyone looking to see where Morrison got his groove - or looking for some insight into Multiversity - should be reading this series. Zenith: Phase 2, by Grant Morrison & Steve Yeowell. $25. 112 pages, black and white.